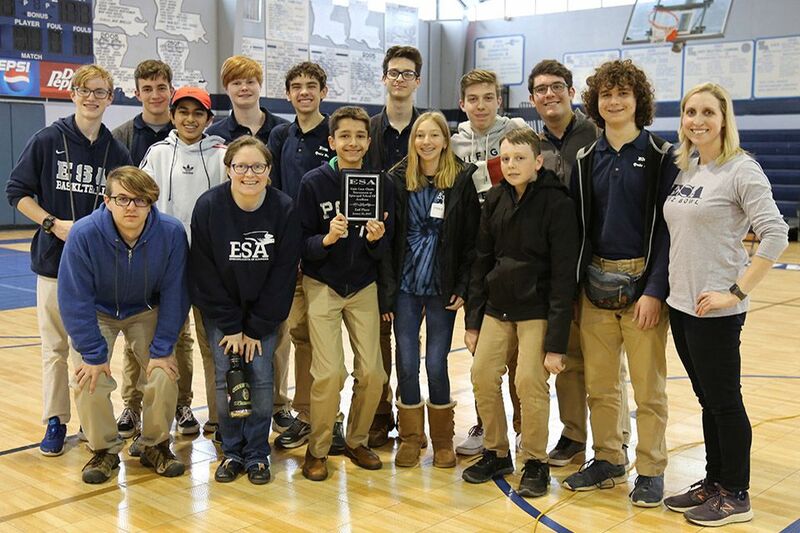 ESA Quiz Bowl hosted 32 teams from 19 schools at the annual Cade Cane Classic. Congratulations to the ESA team of Anil Cacodcar, Joshua Feist, Jake Sledge and Grant Suire, who finished second in the tournament. Jake Sledge was the fifth highest individual scorer of the day. Thank you to quiz bowl coordinator Ashley Dugas and the team of volunteer moderators, scorekeepers, runners, breakfast and lunch helpers, and everyone else who made the event run smoothly!